Home /Are microgreens worth the splurge? Are microgreens worth the splurge? Remember back when kale usurped romaine as the go-to green in restaurants and fast casual eateries across the country? The kale love is still going strong, but lately, another green has been topping the plates of some of the trendiest plant-forward restaurants: microgreens. Given their surge in popularity, it’s no wonder they’ve become a standout at the farmers’ market. But here’s the thing: They aren’t exactly cheap. Is a little green garnish on your breakfast scramble or quinoa enchilada casserole, really worth all that green cash? 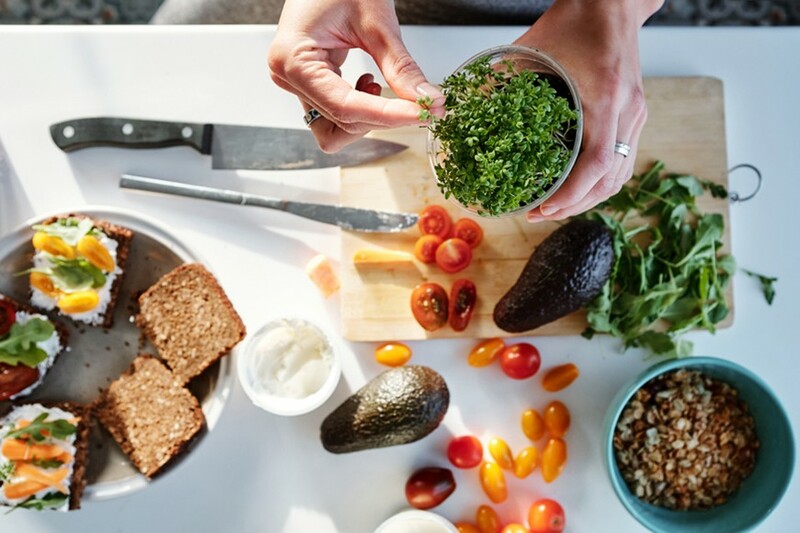 To find out, I spoke with two registered dietitians and a microgreens farmer who filled me in on the down-and-dirty of microgreen nutrition—and whether they’re worth the splurge. Read on for the microgreen rundown, from their nutrient profile to tips on the tastiest ways to eat them. Scroll down for everything you need to know about microgreens. Go big or go home? With greens there’s no need. 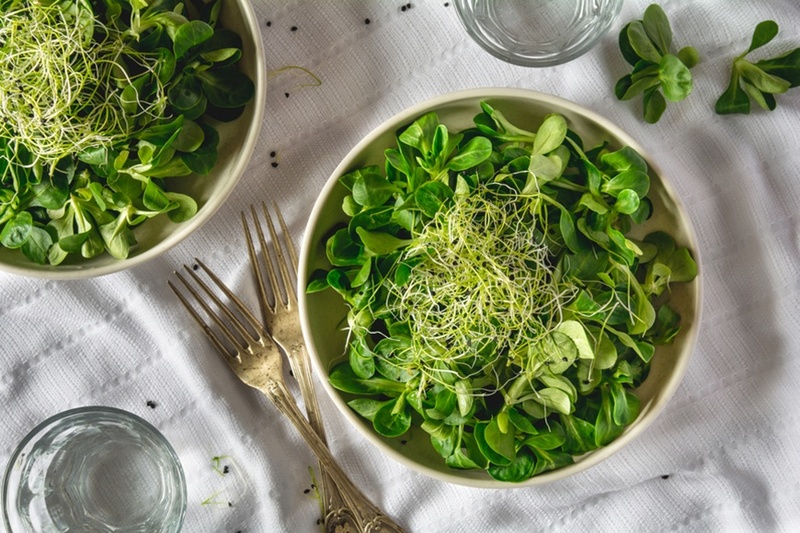 “Microgreens are essentially vegetables and herbs that haven’t hit puberty yet,” explains registered dietitian Leah Silberman, RDN, founder of Tovita Nutrition. “They’re the teeny-tiny versions of your favorite veggies and herbs like broccoli, kale, arugula, cabbage, watercress, basil, and cilantro, which are harvested after just seven to 14 days, when the first little shoots sprout,” she says. These tiny leaves used to simply garnish plates, but these greens got a boost from their C-list status after a 2012 study published in the Journal of Agricultural and Food Chemistry found that they contained crazy amounts of nutrients and antioxidants compared to their full-grown versions. That means these tiny little baby leaves can potentially provide people with large amounts of nutrients like vitamin C and vitamin E, and antioxidants like beta carotene, according to lead researcher Gene Lester. According to Brendan Davison, founder of Good Water Farms, a microgreen farm in East Hampton, NY, and author of The Microgreens Cookbook, the trendy veggies are four to 40 times more nutrient-dense than their mature leaf counterparts, and they are 100 percent bioavailable. That means your body is able to absorb all the nutrient content, which may not be the case for similarly nutrient-dense vitamin supplements. So you don’t have to worry about peeing out all the nutrients in these pricey greens. Silberman adds that microgreens aren’t going to replace a big, leafy salad, which offers more fiber than these veggie seedlings. “But if you throw a big bunch of these young greens on anything, that’s a super-shot of vitamins,” Davison explains. Davison also says they’re great as a side dish topped with dressing or as the base of a salmon filet or veggie-pattie. Rocket Fuel author Matthew Kadey MSc, RD, recommends tossing them in a smoothie, adding them to cooked soup, using them in a grain bowl, or blending them up into pesto. Whatever microgreen you purchase, just be sure to eat it within the week. If you wait longer than that, it will start to loose some of its nutrient content (not mention stink up your fridge). Or pick a brand with vacuum-sealed container like Good Water Farms, which doubles fridge life. That way, you’re really get the most of your your microgreens buying. Speaking of greens, here’s why you shouldn’t lump all your leafy greens together. And good news: Eating salads is linked to happiness.